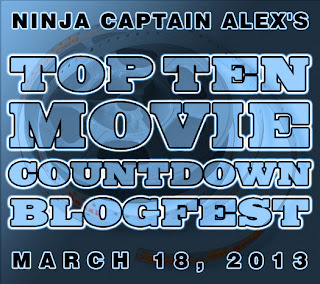 Hosted by Ninja Captain, Alex J. Cavanaugh. 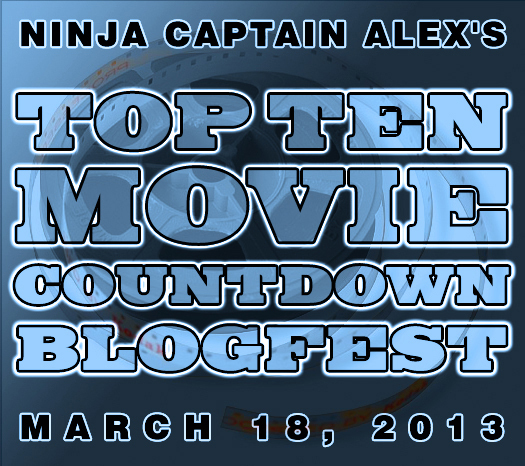 Join the fun and post your ten favorite movies. I remember seeing previews for the movie, and a music video of “Is Your Love Strong Enough,” and experiencing chills. Surely, the movie isn’t as dreamy and gorgeous as the preview and video? To my utter delight, this fantasy epic fulfilled my expectations! No, it’s not a perfect film. And the director’s cut didn’t make it better, as some scenes were missing and the haunting Tangerine Dream soundtrack removed. However, this has remained one of my most favorite movies for almost thirty years. And yes, I cry every time when they find the dead male unicorn. This movie not only blew me away back in 1984, it sparked a fascination and admiration for James Cameron’s directorial style. 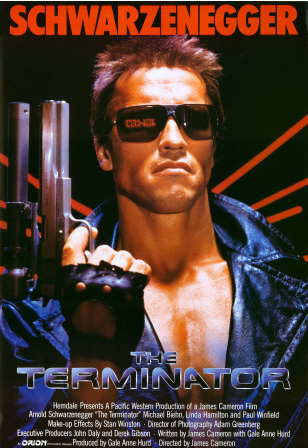 Like all of Cameron’s films, at its heart, The Terminator is a love story. Separated by time and brought together for barely one day, Kyle and Sarah’s love and struggle to survive stirs the soul. I enjoyed the following two sequels (and pretend the fourth never happened) but the first movie remains my favorite to this day. I recall that fateful day star Brandon Lee (son of Bruce Lee) was accidentally killed on the set. It seemed doubtful it would ever come together, but the crew finished the movie without Brandon, and in the spring of 1994, released an incredibly sorrowful tale. 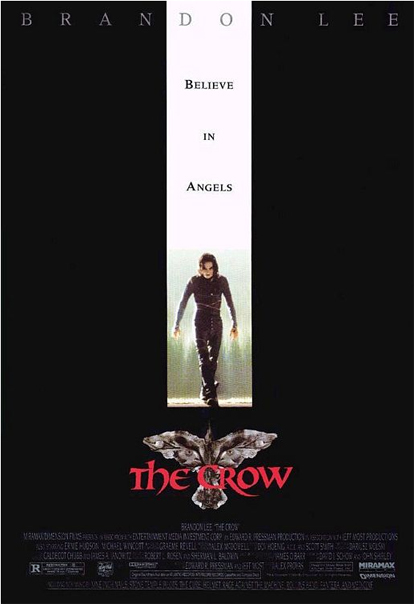 Based on a graphic novel of the same name, which was also inspired by true life tragic events, The Crow gains its power from Brandon and the performance of a lifetime. Perhaps knowing this was his final film - that his death, on top of the death of the original creator’s fiancé, was ingrained into the movie - made it all the more powerful. The Crow is a moving tale of love and revenge. Yes, the 1981 animated film. It’s my guilty pleasure movie! I saw it eleven times in the theatre, owned a bootleg tape, and now own it on DVD and Laserdisc. I loved the soundtrack. (I have three copies of that!) While the animation was an odd blend of good to sub-par (due in part to eight different studios working on segments of the film) the visuals and music really stuck with me. Ultimately, my love of this movie has to do with the final segment - Taarna. The story of Taarna, a warrior willing to sacrifice herself to vanquish evil, really struck a chord in my heart. I also own the making of the movie book, the t-shirt, two official movie posters, and my D&D character was called Taarna. Since it is ultimately one long movie, I’m listing the trilogy as one pick. These films were so majestic, so well-done, so true to the spirit of the books, it’s incredible. (And even better, they skipped all those boring pages of description!) No need to describe them, as everyone has seen LOTR, but it’s the ultimate fantasy story. Fellowship is probably my favorite of the three, and my favorite character is Pippin. I mean, who wouldn’t want to hang out with Pippin and cause trouble all day? I never read the comic strip, but I adored the movie. RJ’s tricks to entice the other animals to forage in the human’s domain result in some priceless adventures. Hammy the squirrel is easily my favorite - probably because I’m just about as hyperactive. (Although I’ve tried energy drinks and they do not make me so fast the world stops - darn!) Great cast, too. I loved the first one, thought it dipped for the second, but the third one was the best! A circus was the perfect setting for the cast of characters, and introduced several new ones. The sea lion was adorable and had such a genuine heart. The big performance just popped off the screen in 3D. I wish there really was a circus act like that! Keep making them, I’ll keep watching them. I love your choices... you had me at Legend, then Heavy Metal... the Crow. 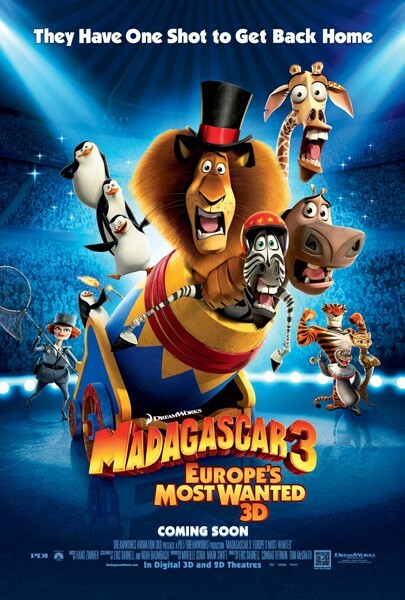 I thought Madagascar 3 was average at best (sorry), but other than that great picks! Your list has a lot of range! From "Terminator" to animated films. I loved Born Free also. I haven't watched it in a long time. Fun! I've wanted to see The Crow. I remember when all that happened. So sad. Love Emporers New Groove. And Over The Hedge. And the entire Madagascar series. I totally considered Legend. Such a good movie! I like how you have a lot of family movies on here. I almost chose Chitty Bang Bang. And I haven't thought about Born Free for ages. I love how everyone has such different choices for movies. I haven't watched Legend but now I want to. Born Free is such a great movie. It really belongs on a top 10. Love most of your picks. I didn't think of including animated films on my list. It would take a whole other list. From Bambi and Lady and the Tramp to Finding Nemo and Up. Jeremy, I'm sure Heavy Metal will surprise a few today. Elizabeth, I just like a variety. Stephen, nothing beats a good kids' film. Clarissa, Legend is a beautiful looking film. Jo, at least the cubs lived. Well, I have at least seen one of your films, Diane -Born Free. Can we still be friends? Born Free! I love that movie! LOTR - excellent! T2 almost made my list. Don't know that for sure, the cubs disappeared. I'm a big fan of the entire Terminator series. The Crow was also an excellent film. Some wonderful choices here, Diane. Loved Born Free, but I'm not good with animal films. I get too emotional. Srsly, I burst into tears during Frankenweenie. I love the diversity of your list. Nice choices and Legend, for me, has always been one of those great, unsung, fantasy films that never gets enough respect. You're right about the crying, cause I full on ugly booger cry watching Born Free, every time. But I absolutely love it! I've never seen Born Free because I think it would reduce me into a sobbing puddle! I almost included Terminator, too... I love the first two of those. (the 4th isn't bad, 3 is stupid). And I am seeing LotR everywhere. David, most of the ones that didn't quite make my list were animated films. I love them. Jo, in Living Free, they track them down, capture them, and relocate them. VR, that's why I'm not allowed to watch it. Jaybird, I don't feel so bad now. I don't think I've watched an animated movie from beginning to end, but I enjoy the portions I've watched. I missed a couple of these, but I love the Muppets! LOTR and Terminator are two on your list that I really like. I liked the beginning, I like robot tales and Middle Earth. 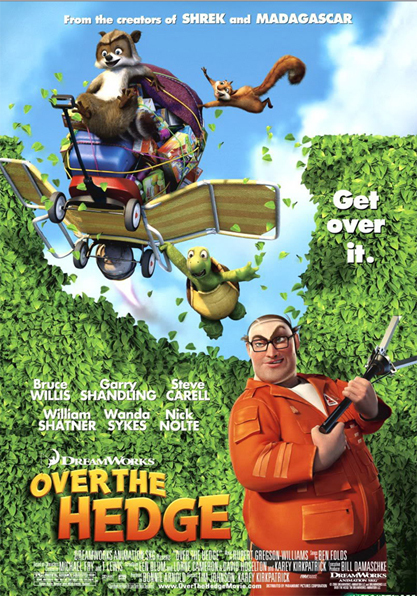 Over The Hedge is the one animated movie my mum didn't like. I, however, thought it was fantastic! Great choices! Hi, Diane. I enjoyed checking out your top ten movie list. Born Free would definitely be on my top ten list. I cry every time I watch it. Born Free is such a sweet little tear jerker that I'm glad to have watched when it was mentioned during one of my older memes about animals. I love The Crow with Brandon Lee and OMG -- The Terminator films are the kind of action pieces that go down in history! The second one...(I think it's called) Terminator: Judgement Day is my favorite and I featured it in one of my papers on special effects, when I studied film in school. Nice list you have here, Diane! 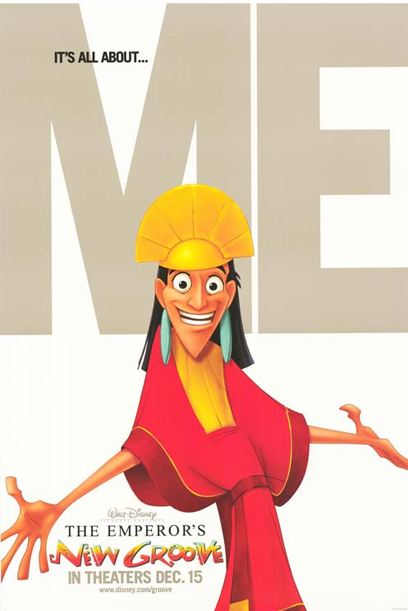 The Emperor's New Groove! Over the Hedge! You officially have good taste. I have Terminator on my list, too! And I love The Crow. It just makes me too sad to watch. I named my son after Brandon Lee. Those are his first and middle names! We had a couple of films in common, and another of yours (LOTR) almost made my list. 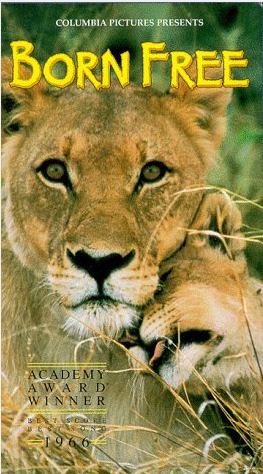 I need to watch Born Free-I loved that as a kid and have not seen it since I was a kid. Jeff, we are almost through converting our to DVD! Nancy, really? Bet that gets the conversation going for your son. The Emporer's New Groove. That was a good one. Great list. I like the strong animated presence. I loved Born Free...I can hear the music playing now~ Wow, memories...me too cried and cried! I love most of your picks, but I HATED The Crow. It disturbed me. I have no desire to ever watch it again. Such a varied choice. I remember seeing "Born Free" when I was a young lad. It made me cry. This is the second list I've seen The Emperor's New Groove on, and I love that. I'd honestly forgotten all about that movie. Legend is another that takes me back to high school days. Hard to believe that was Tom Cruise ;) Great choices! They really caught lightning in the bottle with that film. 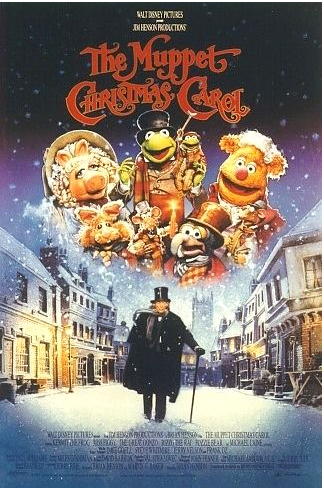 It was the perfect combination of muppets, acting and the classic story. Love that! I do have Legend on my dvd shelf. 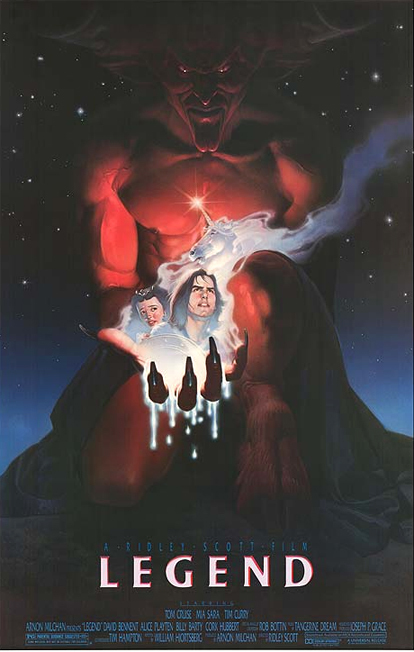 Tim Curry was great in that. And Emperor's New Groove . . . so good :). There are so many wonderful movies, and it's fun seeing everyone's choices. I'm glad you reminded me of Born Free. What a great movie. I like many of your choices. I saw Emperor's Groove in theatres and it made me laugh and yes, I loved Kronk! I also loved Terminator. Born Free made me cry. Interesting line up. Born Free is one of the first feel-good movies I ever saw. Good mix here. Love The Terminator, and The Crow and Legend are now on my list. Such a fun blogfest. Great choices! Ella, the music won an Oscar. Laura, you have been warned. DL, and that's a problem? James, Muppet fan! And it was made right after Jim Henson died. 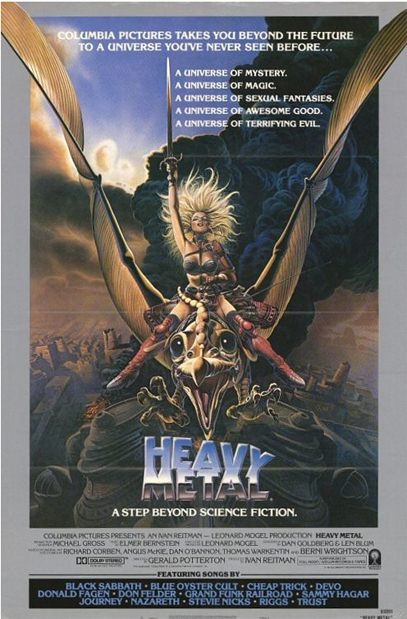 You now need to watch Heavy Metal. Prepare for cheese. Tyrean, my mom didn't approve, but some of it was rather immoral. Carolyn, that would be fun to see on the big screen. I keep looking at lists and thinking "I forgot about that one." On yours, it's the Muppet Movie. Love them. It was fun seeing your countdown. I have The Terminator on DVR. I look forward to finally seeing it. i've watched all the madagascar's and i agree. the 3rd was the best!! afro circus afro circus polka dot polka dot afro circus!! Oh yay! I'm happy to see the Muppets got a nod in this fest. :) Your list is laid out very nicely, sort of like a wine tasting moving in the opposite direction---taking us from darkish and bold to sweet & sentimental. Tammy, I love that song. Love your movie choices! Especially Emperor's New Groove! !